Blooms Today is an online retailer of fresh flowers for birthdays and other special occasions. The privately held company is based out of Haymarket, Virginia, United States, and has partnerships with local florists across the United States and overseas, to ensure that your order arrives quick and fresh. 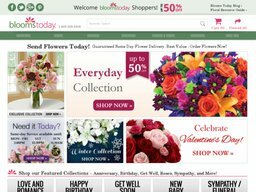 The website, which is found at BloomsToday.com was founded in 2006, but quickly made its way to the top of the online florist market. The site allows you to easily browse flowers via occasion, price range, and specific flower type; and there is also a range of plants and other gifts on sale as well. If you order early enough you can get your flowers the very same day. You can also make savings by using Blooms Today coupons, a list of which we keep up to date at Coupofy. Blooms Today make buying flowers easy by organizing their offerings in to categories based on the occasion. So if you want to send sympathy or birthday flowers, but aren't sure what to choose, browsing the category will list all of the appropriate options. Other occasions catered to include Thank You, Get Well Soon, New Born Baby, Anniversary, Love, Funeral, Congratulations, among others. You can also browse via price range, items that are eligible for same day delivery, and several other parameters. Of course if you know exactly what you want you can also use the search bar or browse through the individual types of flowers. You can also buy gift baskets, fruit & gourmet food, and other accompanying gifts. 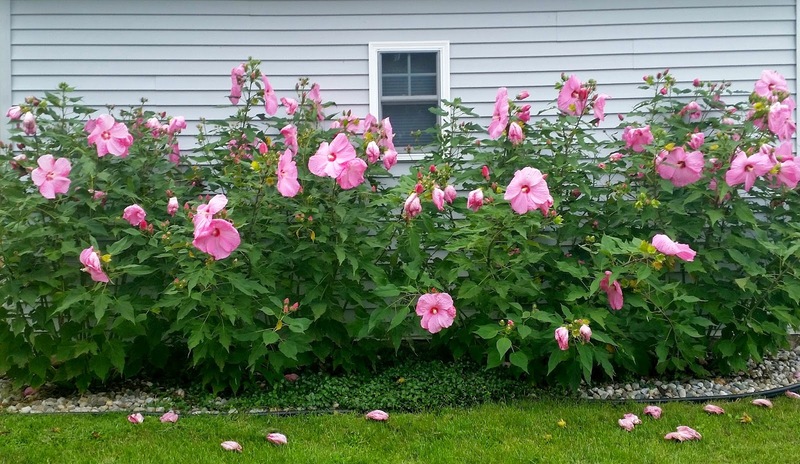 Your Blooms Today coupon code may be applicable for any type of flowers or specific items, so be sure to check the details. Types of flower available include Carnations, Lilies, Roses, and some of the plants offered include Ivy, Kalanchoe, Palm, and others. For fast processing if you already have a print catalog you can enter the item number in to the search box and it will take you directly to the product. It's a good idea to save as much money as you can when buying from Blooms Today.A good way to do this is to check out Coupofy Coupons to see if there are any special offers on their updated list to suit your needs. A simple search of the site will provide you with a list of links that will take you right to bloomstoday.com where you'll be ready to save. To redeem a Blooms Today coupon code, all you have to do is enter it in to the promotional box before the payment step during checkout. Blooms Today is partnered with local florists across the United States and internationally, so your order can be delivered as fast as the very same day. Most other orders will come the next day and may be handled by a florist or UPS. If you pay for Express Same Day delivery you can even get flowers within 4 hours! Sometimes you can get free shipping by using a Blooms Today promo code. If this is available you will see it in our collection at Coupofy. Due to the perishable nature of the flowers and plants on store sale, they are unable to cancel or change orders which are already ‘en route’ to you. However, in the case that it is fully necessary to change something, or you are not happy with a product, then you can always go ahead and contact the customer support team who will do its best to rectify the situation. They run a 100% money back guarantee should flowers or plants arrive considerably late, are not as described, or are wilted or dying.